Our staff is fully trained and qualified to answer all of your plumbing enquiries. Need a Hot Water System installed, Contact us today!!! Service your Air-conditioner now to maximise output and savings! Melbournes number 1 evap cooling repair service. Looking for experienced and trustworthy Plumbers in Melbourne? Harley Plumbing can help you. We are leading plumbing company servicing Melbourne. And we have worked on a wide variety of plumbing jobs for homes and business. Ranging from small odd jobs and all the way through to large commercial projects. Our team of qualified and dedicated Melbourne Plumbers offer you expert advice and services when you need it most. We carry out all manner of emergency repairs in addition to servicing gas and hot water systems. No matter the plumbing problem we have the experience and expertise to get the job done. We service Eastern and Northern suburbs. As well as the city and inner city locations. Here at Harley Plumbing Eltham, you can find the perfect peace of mind that we can deliver the right solution, day or night, throughout the year. We pride ourselves on affordable plumbing prices and always make sure to work with minimal disruption. Whatever domestic or commercial plumbing you need, Harley Plumbing can help you. We have a full range of plumbing services available. Including servicing, repairs and install of hot water systems and gas appliances. Back-flow services, drain camera work and a 24/7 plumbing team on call. Our Melbourne Plumbers are always up to date with industry best practice, latest plumbing technologies and services. We are the plumber Melbourne businesses and home owners rely on. Harley Plumbing help with any plumbing emergencies, big or small. Our emergency plumbers can be called out to your Melbourne home any time. 24 hours a day, 7 days a week, 365 days a year. 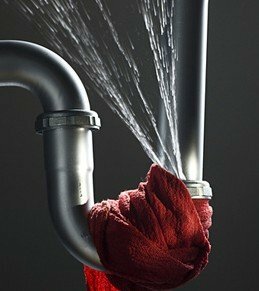 We fix busted water pipes, blocked drains, gas leaks, leaking roofs, hot water failure, gas appliance repairs and any emergency plumbing problems. 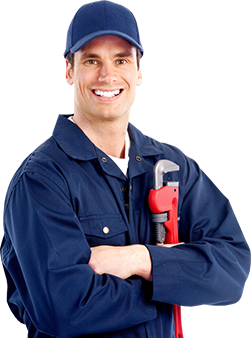 If you need an emergency Melbourne Plumber – then call us day or night. Our team of plumbers take great care to fix your emergency plumbing issue and only use the highest quality products and fittings. Furthermore our attention to detail and commitment to quality, truly is first class. If your hot water system is on the blink and only giving cold showers, your hot water system may need servicing. We can help you with hot water servicing or advise if you need a new system. Our Plumber will talk you through the new hot water systems and help you select a new one, based on your household. 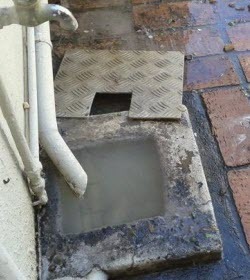 It is common practice for people to buy over the counter products to try and fix their blocked drains. But often this causes bigger problems. In addition it can also cost you a lot more money in the end. Sometimes the quick fix works for a short amount of time but actually can be causing extensive damage. In calling a plumber it means your problem will be fixed there and then. 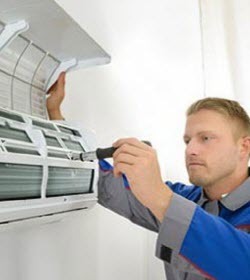 Our Plumbers have experience in every type of air conditioner installation and service. We provide installation of split systems, evaporative systems, refrigerated systems and ducted systems. Also we can purchase and deliver any air conditioner system to your home or business. You can be assured we will provide every service necessary fr the correct and compliant installation of your air conditioner. When was the last time you got your heater serviced? Living in Melbourne means your heater gets a work out every winter. A faulty heater may be dangerous and its important to check for carbon monoxide fumes at the beginning of every winter. At Harley Plumbing we use state of the art technology when conducting these tests, to ensure the safety of your heater. Another bonus to servicing your heater is efficiency testing. By making sure your heater works at optimal heating you will reduce you heating bills. 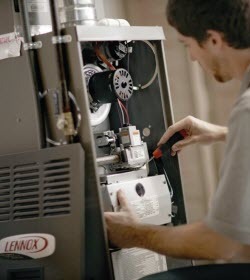 In addition we offer full heater repairs, maintenance and replacement for all domestic, commercial and industrial heaters. We can also advise on the best type of heater purchase for your home or business. An evaporative cooler should be serviced every 2 years. This makes sure it won’t just shut off when you need it most. Its wise not to leave servicing of your evap cooler to when its too late. Don’t wait until the start of Summer, jump the queue and be the first to switch on a fully serviced and fully efficient evap cooler. Then you breathe easy (and cool). If you have plumbing issues in your home or office, its best not to try and fix it yourself. Call Harley Plumbing, we are a trusted Melbourne Plumber. We can handle any plumbing issue and save you more money in the end by fixing it right the first time. Every Plumber is insured and fully compliant. Our decades of plumbing experience means our ability to assess, locate and offer the correct repairs, quotes and offer advice is second to none. It also allows for competitive quotes with absolutely no hidden charges. All of our quotes are upfront and you wont be slugged any hidden cost at the end of the job. All of our work is as environmentally friendly as possible. Furthermore our Plumbers clean up after themselves. Speak to our friendly team today and have an experienced Melbourne Plumber come to your home or office. Remember we are available 24/7, 365 days a year. Eltham is only a short distance from all major suburbs in eastern suburbs and northern suburbs of Melbourne. Contact Us Today! Harley Plumbing is a trusted RACV service provider. We currently serve the Northern and Eastern suburbs of Melbourne for the Emergency Home Assist Product. RACV is a renowned service based company of the highest integrity. Our charter ensures that our tradesmen are fully qualified, knowledgeable and highly skilled with exceptional communication skills. Harley Plumbing completes work for Energy Australia. We currently service the Northern and Eastern suburbs of Melbourne for the newest in Energy Australia’s product line, providing emergency call outs followed by timely installation of gas appliances where an appliance needs replacing. This could include Gas Hot Water Units and Air-Conditioning and Heating. We currently service and repair Brivis heaters. We have undergone extensive Brivis training and have intimate knowledge of their products. With Brivis being the leading heating manufacturer in Australia over 50% of homes have a Brivis so we have the ability to fix most heaters that your tenants have. Please contact us on 9432 4121 and we’ll be happy to discuss your plumbing needs. Our staff is available 24 hours a day, 7 days a week, 365 days per year. We look forward to hearing from you!.